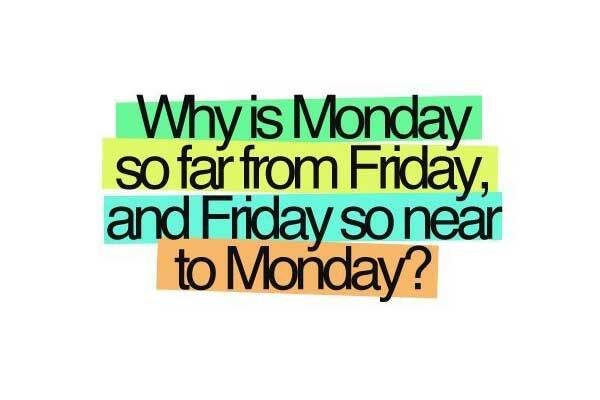 I really hope that #mamamondays is inspiring you to make the most of this fresh start we get every week…This week it’s a *Half Term* special. When I had Miss Marnie I really thought I was going to be one of those mums that got her craft on. But, she does so much of it at pre-school that come home time she really just wants to play with her toys, read her books and snuggle up and watch whatever show is her current fave. 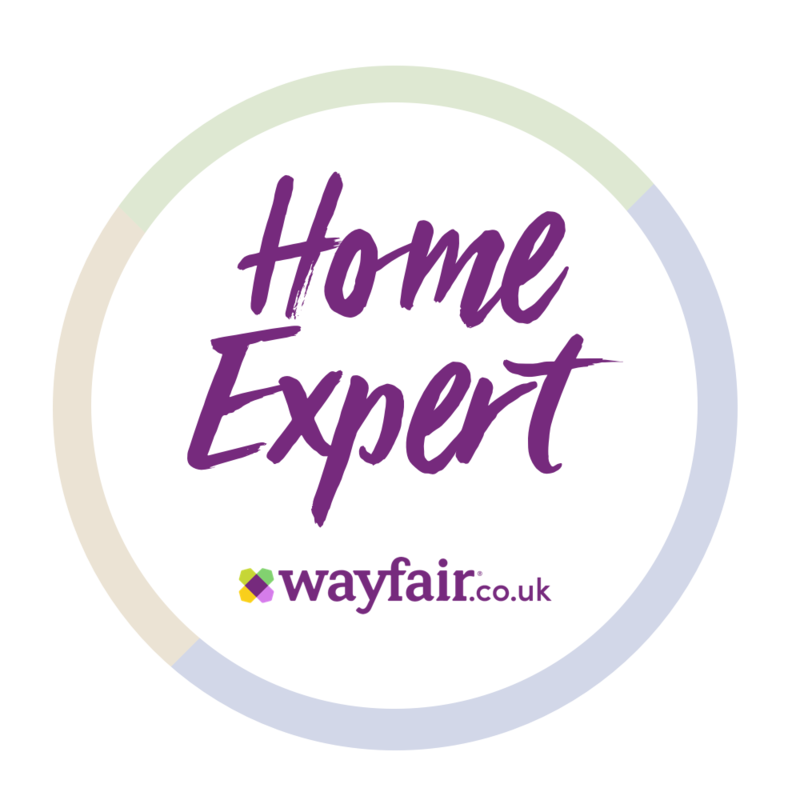 The truth is as much as I love a bit of stationery, ribbon and wrap – my craft abilities aren’t as good as I would like. So, I tend to keep it simple with Miss M.
The answer is often a pre-packed kit like The Crafty Little Party Co. – a clever box of supplies that offers just enough stuff to entertain a play date or even a birthday party. 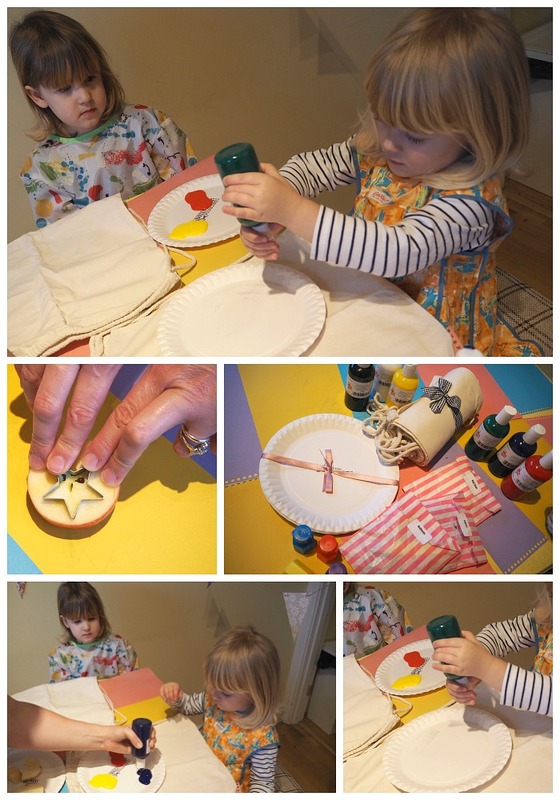 Miss M had her best buddy Poppy (from Running in Lavender) over for a spot of printed fabric bag styling. 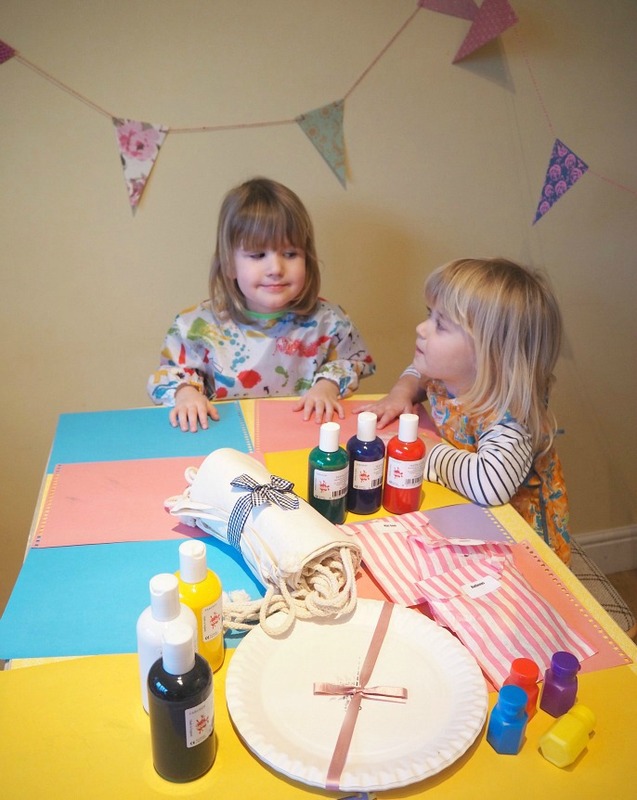 The Crafty Little Party Co. box contained everything we needed: paint, fabric bags, bubbles, bunting, balloons, cutters and some paper plates for mixing colours to make it a fun treat. We just needed to add some potatoes and other vegetables to stamp with and some cover-ups and they were away. 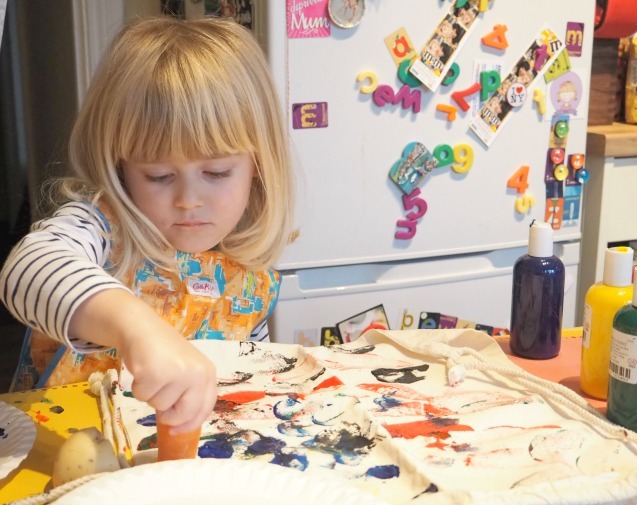 They both seemed to love the idea of using food as stampers and had so much fun creating patterns on the canvas rucksacks (which just needed to dry and then be ironed for 5 minutes to set the paint). 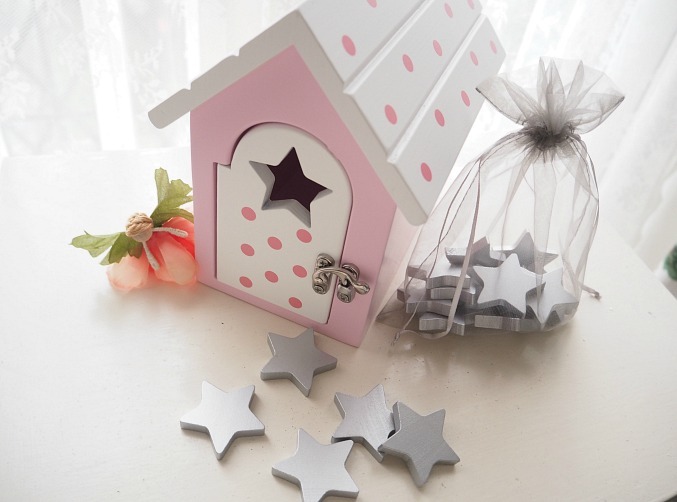 I would recommend these crafty kits (others include Fairy Magic, Pirates Ahoy! themed boxes) for when time is of the essence as the box arrives with everything you need to create a special party for kids aged 4-years and above. Half term may be about some down time for all – but often it involves days trips, meals out and visiting the family. Which means those play clothes – of course fine for a tumble in the park or soft play – just won’t do. 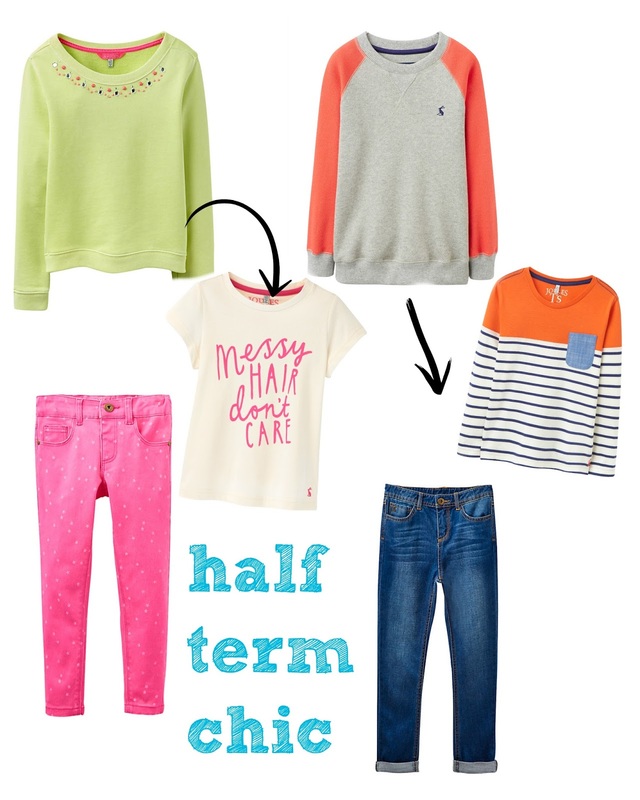 Ensure the kids are half-term cool and ready for anything with some bright new additions. Classic denim or bright coloured jeans are the perfect base to add some colourful layers. A long sleeved top or slogan tee teamed with some cool jersey sweaters are just the ticket. 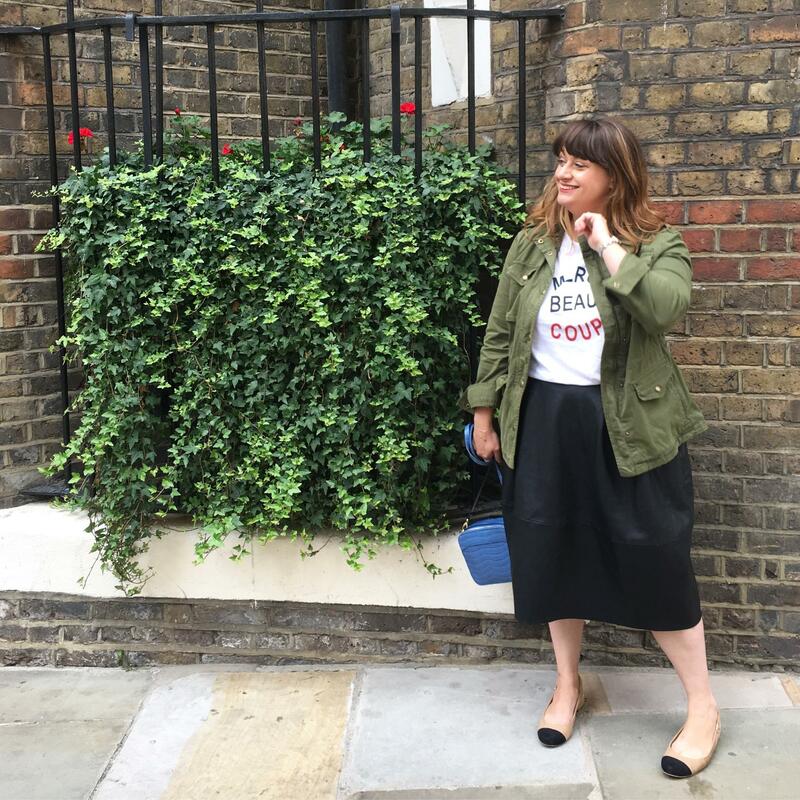 I love these neon pieces at Joules – I have my eye on that ‘messy hair don’t care’ tee for Miss M – they are smart enough for days out but still hard wearing enough for the fun week ahead. Reward charts haven’t really worked for Miss M.
I have tried various times but she does not really seem to get that excited about getting a ‘sticker’ – maybe because she has several pads and packets of them in her desk. And, as a non-chocolate fan the treat at the end holds no appeal for her (however if it’s Haribo’s, FAB or Twister lollies…) so I was game for trying The Reward Box. But, what makes this a fun take on the traditional style sticker reward charts is the fact that toddlers and small children can post their own rewards in the money box style slot – and then overnight (or weekly) the stars are replaced with a small treat by ‘fairy or pirate elfs’ – which kids can access themselves adding a magical element for little ones. We’ve had a little bit of success with it so far but am hoping when Miss M is a little older and it comes to school homework and chores she will take it more seriously. 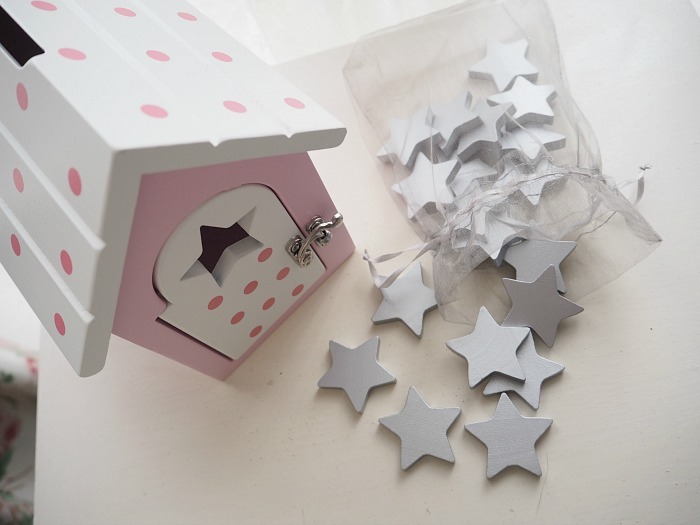 The Reward Box can also be personalised with the sticker sets (sold separately) making them a great gift idea too. * The only thing I think I would change is the pirate chest should have come with gold coin style treats – don’t you think?